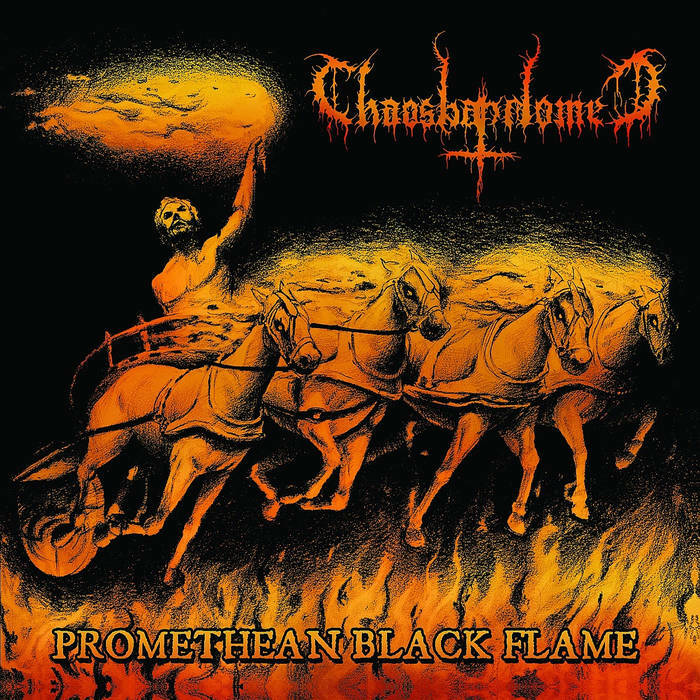 This is the debut album from Greek black metal band Chaosbaphomet. This album is bookended by a long, ritualistic, avant-garde track that serves as an introduction, and by a Necromantia cover at the other end of the album. In the middle, however, we get 24 minutes of Chaosbaphomet’s furious own-brand black metal. This is raw, orthodox black metal with a savage edge that nonetheless flirts with some quite atypical riffs alongside the more traditional ones. This helps make for an intriguing listen, as the band forge their own path through black metal’s wilderness. Although not overly melodic, little streaks of melodic colour do appear now and again to add flavour to the blackened bite of the main rhythm guitars. Subtle keyboards and synths appear here and there to lend additional depth to the tracks, but the real stars of the show are the raging guitars and molten riffs. The vocals are as passionate and as fiery as the music, and just as full of occult frenzy and intensity. I like that Chaosbaphomet are simultaneously staying true to the classic black metal style, while also putting their own spin on things and offering something a little different to the norm. This entry was posted in Black metal and tagged Black metal, Chaosbaphomet, Metal. Bookmark the permalink.